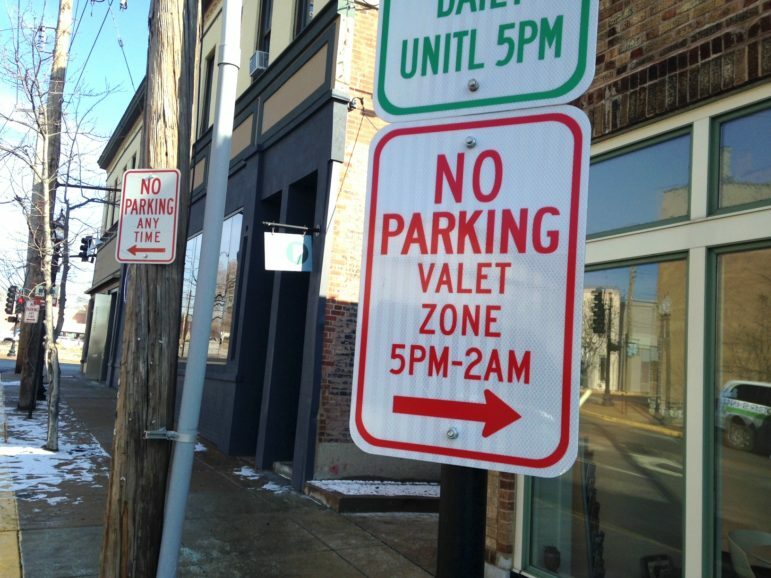 Maplewood City Council on Jan. 24 overruled a request from Elmwood restaurant for four valet parking spots (Monday – Saturday, 5 p.m. – 1 a.m.) on the east side of Sutton Boulevard next to the new restaurant at 2704 Sutton, suggesting they reduce the number to two, after nearby business owners asked the council to deny the request, claiming it would hurt other area businesses. On Friday signs marked four valet parking spots next to the new restaurant (opened Jan. 22). The city hasn’t responded to a request for a comment. Elmwood restaurant hasn’t responded either, to a question on Twitter. Elmwood needs some spaces to get the cars off Sutton to load (and unload) cars that will be taken to the Marietta lot. Sounds like the city made a compromise with/for the restaurant and the local businesses at that end of Sutton. These are difficult decisions for the city because in the end neither side will be happy. Nova salon is an awesome salon with passionate owners who do not have the ability to offer valet parking. This will definitely affect their business. If Elmwood is the culprit behind having the signs installed in this manner it’s not a good look. I’ll error on the side of the caution that lines were crossed with the street department. If it comes out Elmwood had them installed in this manner the community is not going to be very impressed. Our family will be watching how this plays out. We are excited to try out Elmwood. Their restaurant has great potential to be a top contender in the Maplewood/STL food scene. Our family will now wait to try Elmwood out until this situation is rectified. It’s not a very good way to start off a business/ community relationship. Did the street dept. just put the sign in the wrong place? I was at that meeting, and yes – the city clearly voted to reduce the number to two parking spots. Not sure who got their wires crossed or if maybe the street department just didn’t get the message? I have called numerous times on cars parked illegally on that side of the street. 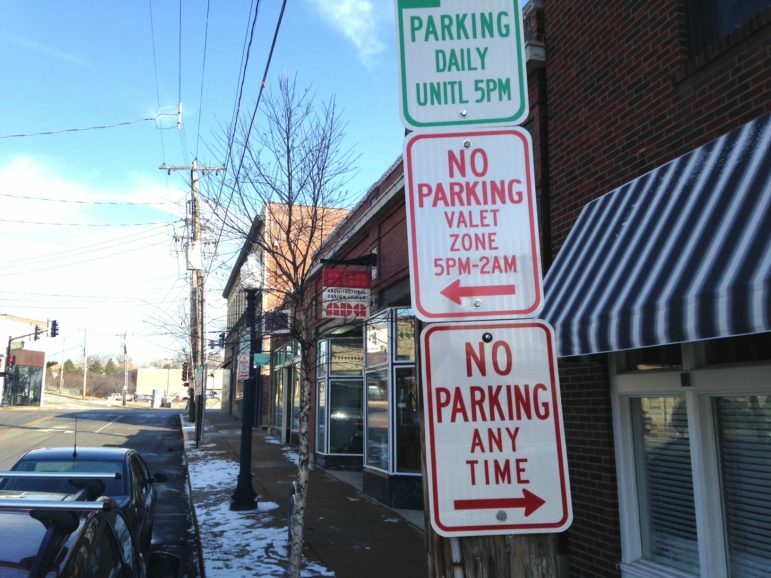 If they were unable to enforce what was there previously, how are they going to enforce this new parking limitation? Great. Just great. Busy area, hard-to-find spots as it is, parking lot at rear of building, but let’s give away prime parking spots. I agree. Doesn’t seem fair to the other businesses. And traffic is already a pill on that corner! And loads of parking available right across the street on Schnucks lot. it is tacitly agreed that it is ok. Seems like Schnucks is a bit more open to it than Shop n Save was. Never want to upset your customers and I’d guess 50% of people parking there to access Maplewood’s nightlife and shopping are Maplewood residents. I’m pretty sure Maplewood pays the landlord for lot usage. Schnucks doesn’t have a choice. Yes, Maplewood has a deal and pays the landlord a monthly fee. Did not know this. Thanks for the information!